Create your Educational app for your school and Colleges! Create advanced applications for Andorid, ios and tablets with no technical knowledge. Along with the technology, educational app builder are a reality. We can list some; although the recording of lectures has been common practice within universities for a while, lecture capture apps allow you to record and listen back to classes. 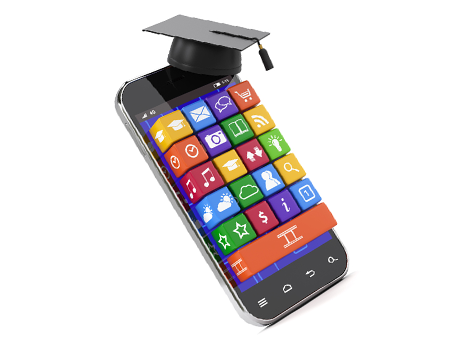 There is also student mobile app design available for exams such as the MCAT, GMAT, LSAT and GRE tests, which are used by many schools as part of the admissions process. Uses social networking-style functionality which allows users to connect with other test-takers and peruse revision materials with quizzes, notes and more. A number of apps for students have been developed promoting personal safety, for use both on- and off-campus.